Can you eat your way out of stress? Well, some of us try. But although our first instinct when we’re feeling stressed is to reach for a cake, it’s not necessarily what your body is craving. Here are 16 calming foods that nutritionists claim we should be eating to combat feelings of stress and anxiety. And not surprisingly, there’s not a cake or processed food in sight (sorry people). But they do work. So the next time you need to feel calmer, help your body out and pick one of these delicious foods or drinks from the list below. 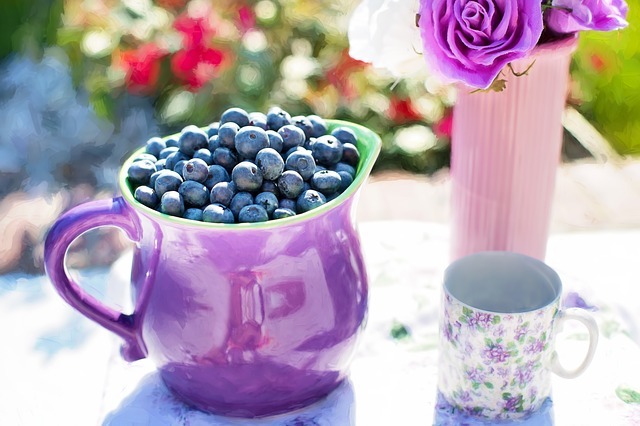 Not only great in smoothies and on pancakes, beautiful blueberries are jam full of antioxidants and vitamin C. Both are used to help repair and protect our cells during times of stress. 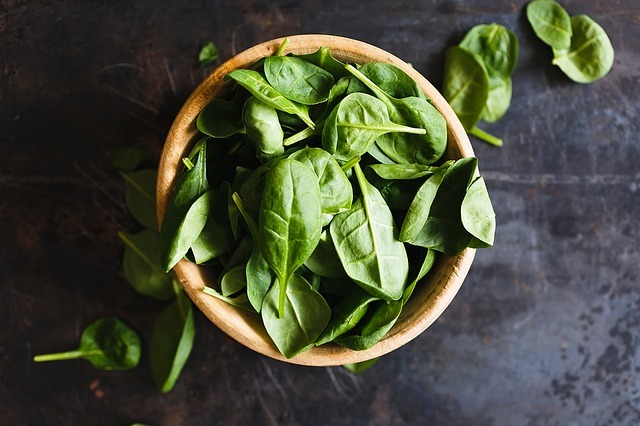 Green leafy vegetables have a whole host of good properties, so it’s no wonder nutritionists love them so much. Rich in folate – which is shown to help regulate production of serotonin and dopamine, they can help regulate your mood. Are you as happy as I am that chocolate made it on to this list? 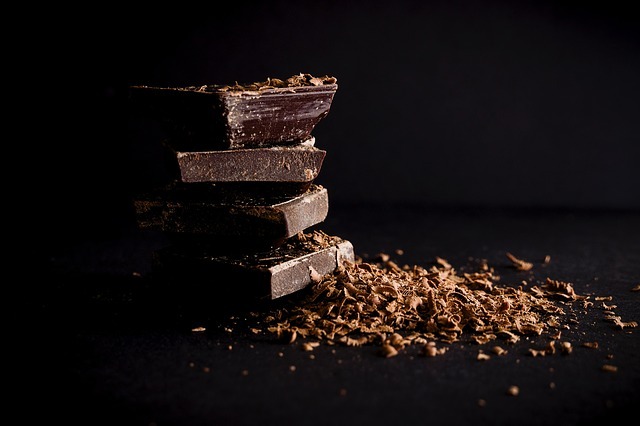 Not only that, there are actual studies that have been carried out which demonstrating the calming properties of chocolate (it has to be the good kind, however – 60-70% cocoa solids or higher). 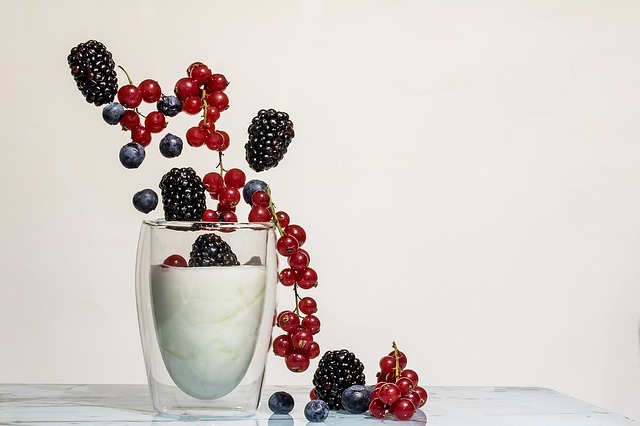 Apparently it’s all down to a very specific type of antioxidant known as polyphenols, which help protect the body against oxidative stress. 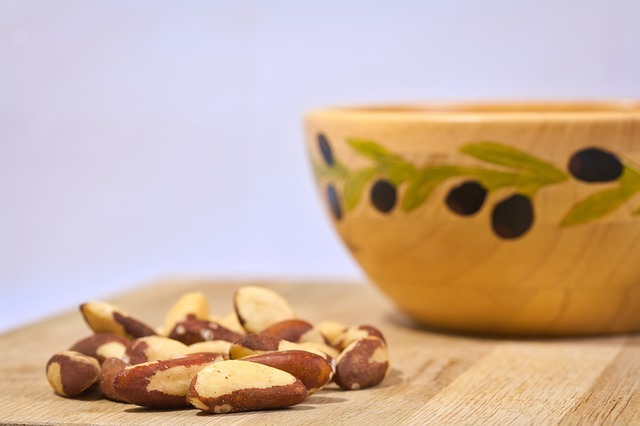 Brazil nuts help increase your selenium levels. Selenium has been shown in studies to help reduce symptoms of anxiety. 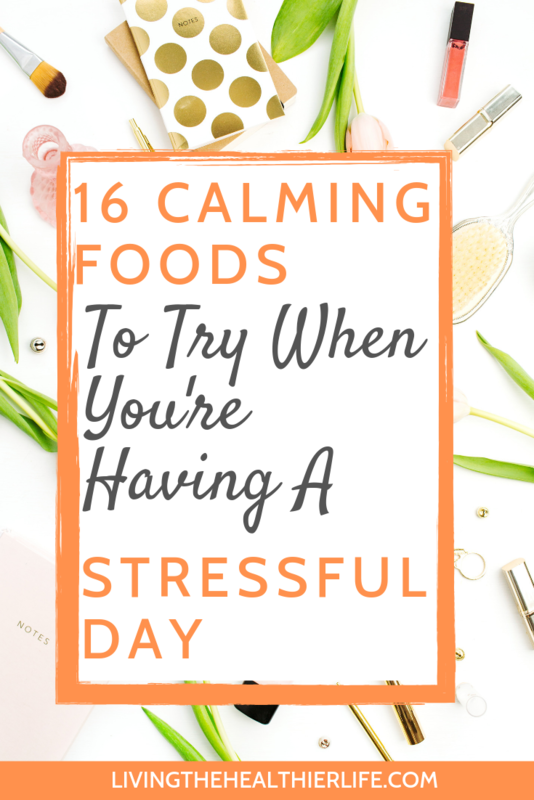 So it’s the perfect go-to snack when you need to feel calmer. 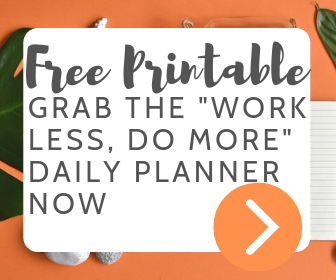 Keep some to hand if you have a stressful appointment in your calendar. 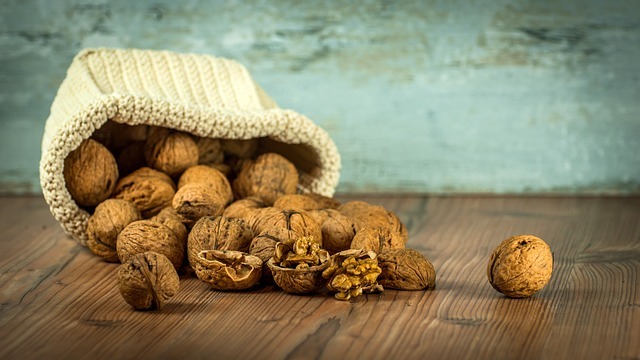 Walnuts are a great source of omega-3, so it already has that claim to fame as a health food. And according to the experts, a regular handful of walnuts can help reduce blood pressure, and improve your body’s response to stress. They’re a great way to add crunch and flavor to a salad. 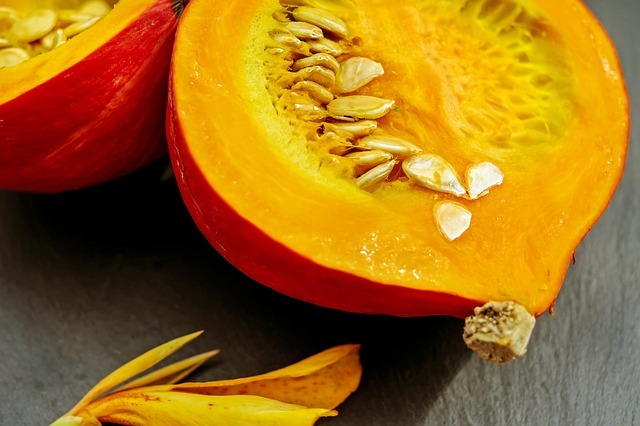 Pumpkin seeds are a source of magnesium. Magnesium can actually help improve your sleep, which in turn reduces feelings of tiredness, stress and anxiety. 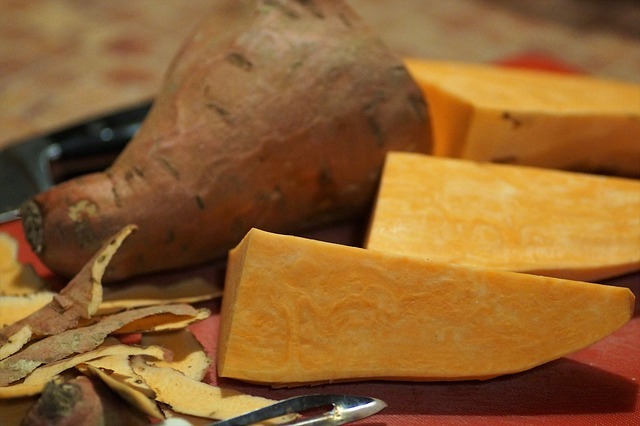 Pumpkin seeds taste great with a touch of seasoning, sprinkled over the top of a hearty bowl of root vegetable soup. 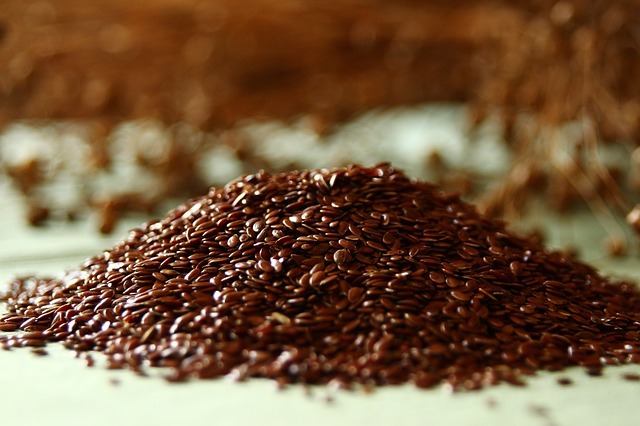 Just like walnuts, flaxseeds are a great source of omega-3. Increasing your intake of omega-3 on a regular basis is going to help your blood pressure, and allow your body to better respond to stress. Try sprinkling a handful of flaxseeds in bircher museli for a healthy breakfast. 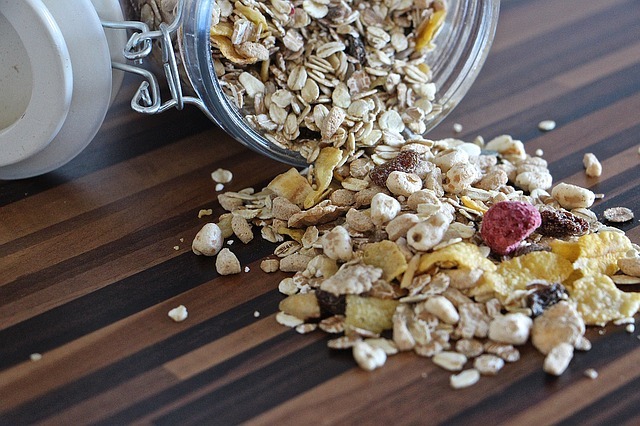 Oatmeal are one of the best options if you want to boost your serotonin levels. On top of it’s nutritional qualities, a warm bowl of oatmeal is one of the most simple and comforting meals you can eat, so it gets bonus points – especially if you top it with some delicious mood-calming seeds and berries. This versatile vegetable is a great addition to any main meal, so there are plenty of excuses to include it in your diet. But on top of that, it’s also great for digestion. If you have digestion problems related to stress this one is great option. 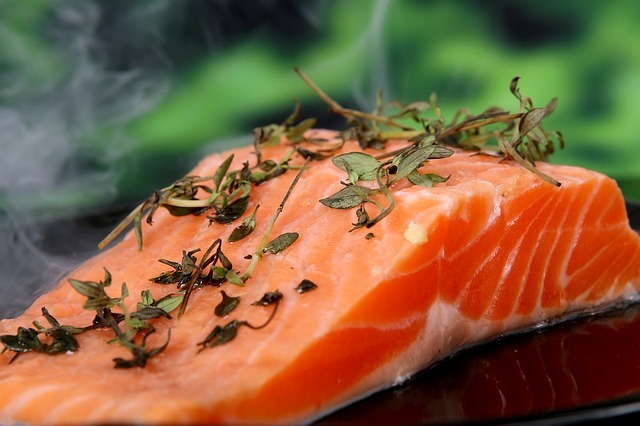 Salmon is another serotonin-boosting addition to your diet, with fantastic levels of omega 3. Prepare a fillet of baked salmon, sweet potato mash and some fresh leafy greens, and you have the perfect, comforting and calming meal. Greek yogurt is fantastic for your gut bacteria. And there are an increasing amount of research that is showing a link between your gut bacteria and your mood. And it’s perfect mixed with some fruit and seeds, just to really boost those nutritional qualities. Is there another superfood as super powerful for your body as eggs? It comes up in almost every nutrition-related article, doesn’t it? And for good reason. Great for vitamins B, D and high in Omega 3. It’s also high in tryptophan, so its another great option when you want to boost your serotonin levels. 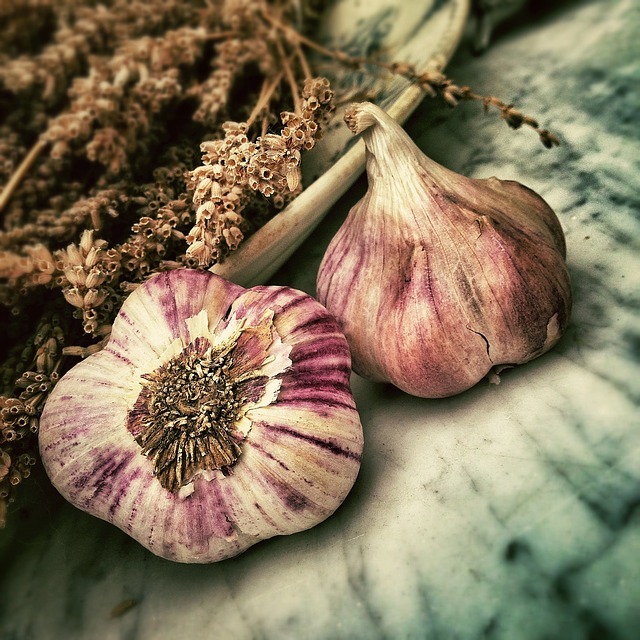 Garlic has a long history of being used for medicinal purposes. It’s been said that garlic can help improve your mood, and reduce anxiety and fatigue. Garlic is easy to incorporate into many dishes, so next time it appears as an ingredient, be generous with the amount you use. 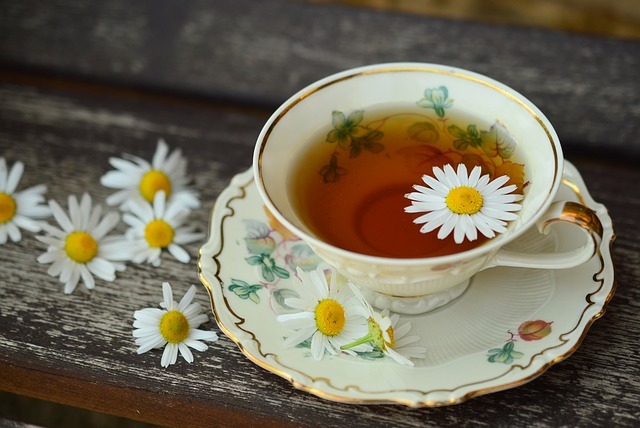 I talk about the effects of chamomile in this article about the benefit for sleep, but chamomile also has it’s own claim to fame when it comes to helping reduce your stress levels and induce a feeling of calm. 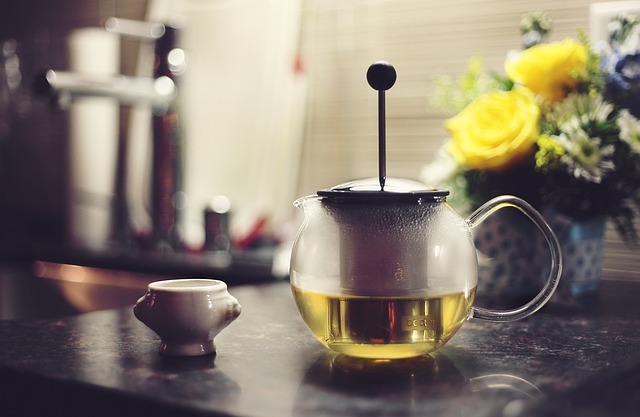 Not only does the aroma fill you with a sense of calm, but the actual slow act of preparing, pouring and drinking a tea is a good way to unwind. Green tea is fantastic for giving you a boost of antioxidants. And that in turn can help reduce your stress levels. Make green tea an alternative to anxiety-inducing coffee, and you’ll find that it really helps to reduce your stress levels from day to day. 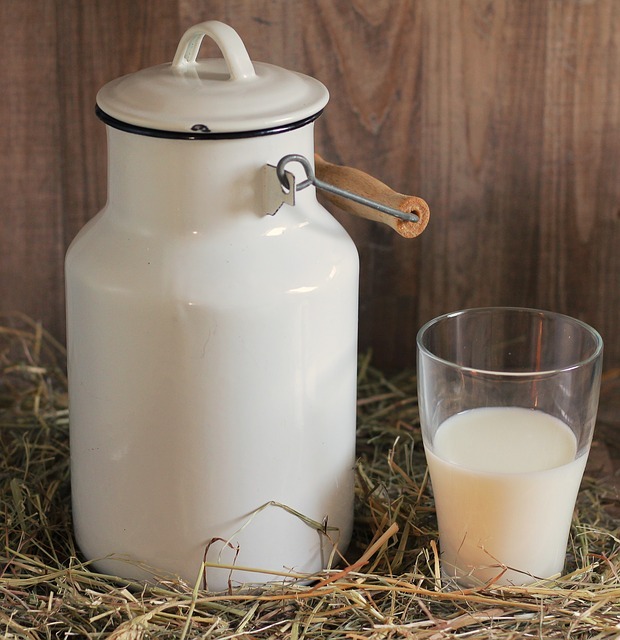 A warm cup of milk before bedtime is an age-old routine, and has a great calming, soothing quality to it. 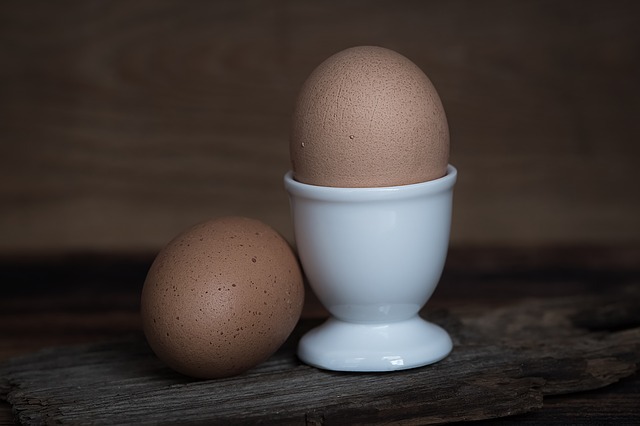 Like eggs, it’s another fantastic source of tryptophan, which helps your body boost production of serotonin, giving you a much needed mood boost and calm feeling after a hectic day. Well I don’t know about you, but I love the look of the foods on this list. How many are you currently incorporating into your diet? Comment below and let me know your thoughts. These 7 interesting products claim to give you a better night’s sleep – but do they actually work?